Can you ever find true love online? After sitting through yet another dreadful date with a man who isn’t quite what she expected, Sophia is just about ready to give up on the whole dating scene. But her flatmate, Kate, persuades her to give it one more chance, only this time she must create a profile describing her ‘perfect’ man. Yes, he must look like Robert Pattinson and needs to own a multi-million pound business, but there are a couple of other deal breakers, too! So, when a guy comes along who ticks every box, surely there’s got to be a catch? First things first, although the story as-a-whole is original, the basic premise isn't a completely original concept. But that doesn't change the fact that this is a well-written, laugh-out-loud, charming debut. I really hope Zoe May releases another book, she has such a natural talent for both developing a chick-lit romance, and embedding humour within the narrative throughout! 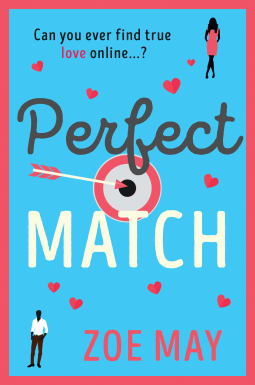 I loved Perfect Match. This book follows Sophia, a character who seems quite snarky and, to be honest, narcissistic and materialistic, from the beginning. However, throughout the book, Sophia does mature and becomes a likeable character, who you are rooting for. This is interesting, because other characters who you feel are honest, humble and kind in the beginning, I found myself loathing half-way through the book. 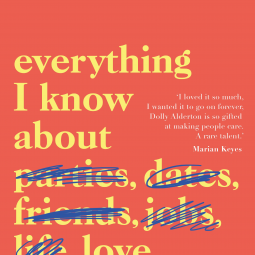 The characterisation was well-done, enough for the reader to feel a connection to the characters, and more-so to the romance happening between the characters. My favourites were Sandra, the quirky co-worker (I was rooting for a romance between her and Tom, to be honest) and Chris, the geeky date, who wasn't appreciated for his amazing fact-file. I don't want to say too much more, as I want to keep this spoiler-free! 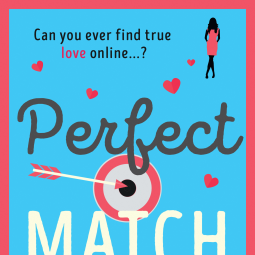 But I would highly recommend this one if, like me, you love Sophia Kinsella like chick-lit, full of quips and cute romance. It's a happy, charming read and one which I very much enjoyed. I received this E-Arc in exchange for an honest review and would like to say thank-you to HQ Digital and Zoe May for providing me with an advanced-readers-copy of this book.